So much of Scripture is about hope. We were created for it. And today, we see hope manifested in so many lives. For me, at one point, it was hope in the one day when I might weigh x pounds and everything would be *perfect* (Get behind me, Satan). For some, it might be relentless hope in a future boyfriend/girlfriend or the idea of a *perfect* marriage (Get behind me, Satan). Maybe for some, the most circumstantial hope is placed in the idea of one day being financially stable and prosperous (Get behind me, Satan). Whatever these things that are hoped in that are not Jesus, who IS hope (Romans 15:13), they are nothing but mechanisms planted and utilized by the devil to prevent the entrance of that true hope and joy that only comes from serving and loving the Father. Identity in Him, desiring His desires. And, as always, oh Lord Jesus, You. Don’t. Leave. Us. Stranded. Truly, God, you provide the very hope and Word. Your life-giving Spirit fills us with it, when we choose to be expectant of Your newness, Your goodness, Your presence. Of course, Jesus the God of the universe does not depend upon my expectation of His newness, goodness, and presence to work these gifts in my life. But my expectation is in fact the result of His work, rather Him working in me. I would not know expectation of His goodness had He not revealed His Truth in the Word and in Spirit. I would not know my God of hope were He not a God who comes alongside us. But that He is, that He always has been, and that He always will be. We are called to rest in that, and know that He will prompt our seasons of movement and prayer for His glory and our benefit. 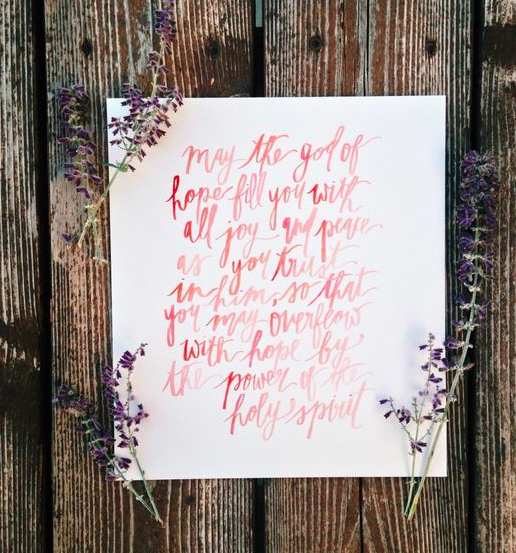 So, God, what does this hope of Yours look like? Jesus revealed something wonderfully transforming to me as I was talking to Him a few mornings ago. Thinking about the word dwelling-place. Psalm 49 tells us that, in the worship of idols, one’s grave becomes their residence, their eternal dwelling-place. They name their lands after themselves. And He convicted me that any parts of me “dwelling” in the past, or the future, or an idea were not making my home with Him, putting my full hope and expectation and confidence and His greatness– because these parts were not filled up by His Spirit, therefore in humanness could not submit in such a way– and that just coming to Him, opening my hands and making Him my home in those areas– that was where He was calling. Even more so, dwelling with creations or plans of Satan, in the temporary, in his tricks, distorts relationships, causes conflict and gives false power to strongholds that don’t exist in the presence and dwelling of Jesus and His forever sacrifice. Out of a place of His Spirit we see the joy and beauty in everything. Waking up and revelling in His Word. In His earth. In little noises, and stillness. 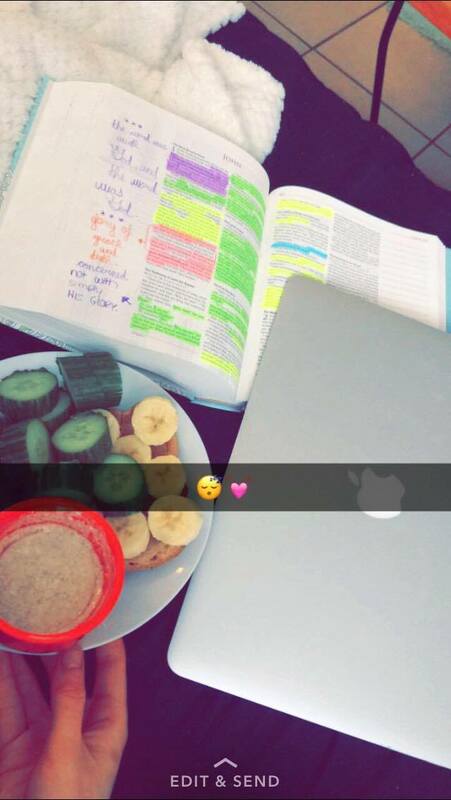 In people, in food, in homework. In the present moment I choose to listen to Jesus, to reside in Jesus, to call on Jesus alone. Not in a minute, not wondering why I didn’t yesterday– but right. now.